The New Year is all about resolutions and fresh starts. But as I noted in recent post (Lessons Learned in 2013), it’s also important to take stock of what we’ve learned in 2013 to prepare for the year to come. For associations with goals that include increasing membership engagement, improving networking opportunities and building membership, it might be helpful to review some of the research reports published in 2013 that offer insight into the state of associations. We’ve reported on a number of key association benchmarking and small membership research during 2013. But we’ve recently had a look at three other reports that might offer associations or other membership organizations some food for thought for 2014 planning. 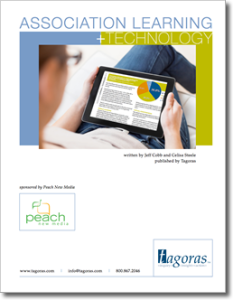 One provides perspective from association members in Australia and New Zealand; another shares benchmarking data on association email trends; while the third report offers an inside look at what some associations are doing in terms of “technology-enabled or technology-enhanced learning”. 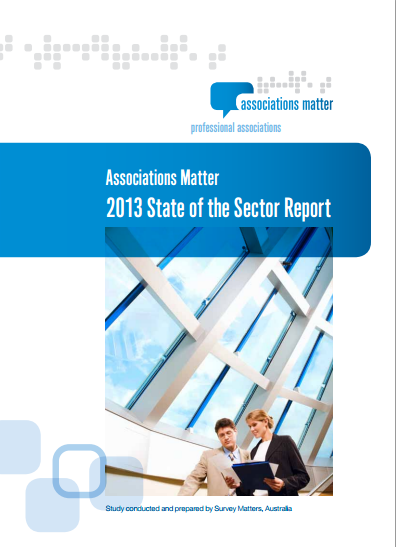 The Associations Matter: 2013 State of the Sector Report by the Australasian Society of Association Executives (AuSAE) and Survey Matters offers benchmarking based on 7,749 individual members from 23 professional associations in Australia and New Zealand. An increasing need for associations: A stable or increasing demand for professional associations is predicted by an overwhelming majority of members. Why join? Members join for access to the latest industry news and information - they want their association to be the leading authoritative source of information about their profession. How do members want to receive their information? The findings indicate wide differences in preferences. Good for me or Good for us? The Association Value Proposition: While personal ('good for me') benefits like being kept up to date with the latest information and professional development are the most important functions members seek from their association, they also highly value the advocacy services provided. Member services – is there a better way? 83% of members are satisfied with the performance of their association in keeping them up to date with industry issues and 73% are satisfied that their association effectively provides professional development resources that meet their needs. However, members believe there are improvements that can be made. What’s keeping members up at night? Cost pressures are the #1 issue facing members. Keeping up with information and technology are also presenting challenges. And approximately one third of members identify protection of the industry reputation as a major challenge. How do we recruit new members? Nearly half of all respondents (45%) in this study heard about their professional association at their university, college or other educational institution. ... Word of mouth referrals from friends, colleagues or employers were the next most common ways that members heard about their association. If your association or membership organization uses email as a key communications method, or you are planning to ramp up your email efforts this year, you might want to check out the 2013 Association Email Marketing Benchmark Report. The research, conducted by Informz, analyzed the results from over 1 billion emails sent by over 800 large and mid-sized associations (in the United States, Australia, New Zealand, Canada and the United Kingdom) that used the Informz email marketing platform in 2012. The report looked at data in terms of email delivery, open, click and unsubscribe rates. 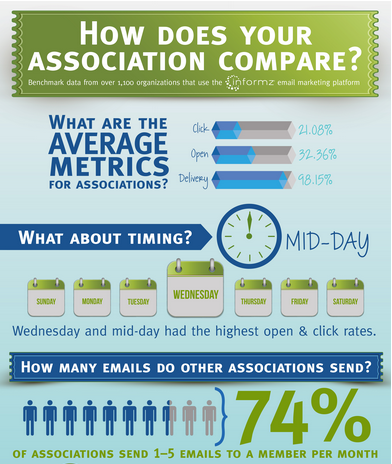 The average email metrics for associations include a 98.15% delivery rate, 32.36% open rate, 21.08% click rate, and a .051% unsubscribe rate. Day of the week again had little affect on open and click rates, but Saturday boasted a high average open rate at 40.19%. For the first time, email’s mobile readership has surpassed desktop readership by 5%. While time of day didn’t report a drastic effect on opens, emails sent in the late afternoon reported the highest click rates at 19%. Shorter subject lines continue to outperform lengthier subject lines. Subject lines with fewer than 10 characters saw the highest open rates at 51%. For the third year, emails containing more links had higher click-thru rates. 53% of emails opened were classified as read (as opposed to skimmed or just opened), meaning recipients spent 10 seconds or longer engaged with the email. The Association Learning + Technology report, written by Jeff Cobb and Celisa Steele, is based on an online survey of 200 associations conducted in October 2013 that looked at the “use technology to deliver learning or to enhance learning”. As they outline in the “About this Report” section, they define “technology-enhanced learning” as “any activity in which a user receives primary or supplementary instruction via a computer counts as technology-enabled or technology enhanced learning” (e.g.,: “Webcasts and Webinars, self-paced tutorials, virtual conferences, blended classroom/online education, etc.”). What types of “technology-enhanced learning” are being offered by associations? The most popular type of technology-enabled or technology-enhanced learning is the all but ubiquitous Webinar. Over 80 percent of respondents using technology for learning offer recorded (i.e., on-demand) and real-time (i.e., live) Webinars or Webcasts. Self-paced online courses, tutorials, or presentations come in third (offered by 65.5 percent) and are the only other offering of the five types we asked about to garner a majority. Blended learning is last, offered by only 31.4 percent. Only 17.8 percent of associations currently using technology for learning offer a virtual conference— but that’s a bump up from 11.7 percent in 2010. Report increased net revenue from their education offerings as a result of their use of technology for learning. Have a formal, documented strategy for their use of technology for learning. Have formal, documented product development and pricing processes that cover their technology-enabled and technology enhanced earning. Offer facilitated online courses, gamified learning, virtual conferences, and at least some mobile learning—in general, be more innovative and forward-thinking. Use a learning content management system (LCMS). Offer a formal credential (e.g., a certification or license), whether or not the credential is their own. If your organization is just getting started in looking at “emerging types of learning”, the report offers a “primer” along with data on your association peers in terms of who’s using what. The full report – Association Learning + Technology 2014 is available for free download. We hope these three reports help with your 2014 planning.